 Triangle be three lines connected by their endpoints. Find the length of one of the segments of the sides of a triangle - a very common problem. Knowledge only of the lengths of two sides of a figure not enough to calculate the length of third, it requires one parameter. It may be the angle at one vertex of the shape, its area, perimeter, radius of inscribed or circumscribed circles, etc. If you know that the triangle is rectangular, it gives you knowledge of the value of one of the corners, i.e., missing for calculation of the third parameter. The required side (C) hypotenuse - the side lying opposite the right angle. Then to calculate, extract square root and squared and folded the lengths of the other two sides (A and B) of this figure: C=√(A2+B2). If the desired direction is the leg, remove the square root from the difference between the squares of the lengths of the longer (hypotenuse) and lower (second leg) sides: C=√(A2-B2). These formulas are derived from the Pythagorean theorem. Knowledge as a third parameter to the perimeter of the triangle (P) reduces the problem of computing the length of a missing side (S) to a simple subtraction operation - subtract from perimeter the length of both (A and B) famous faces: C=P-A-B. This formula follows from the definition of the perimeter which is the length of the polygonal line bounding the area of the shape. The presence of baseline angle (γ) between the sides (A and B) of known length will require to find the length of the third (C) computation of trigonometric functions. 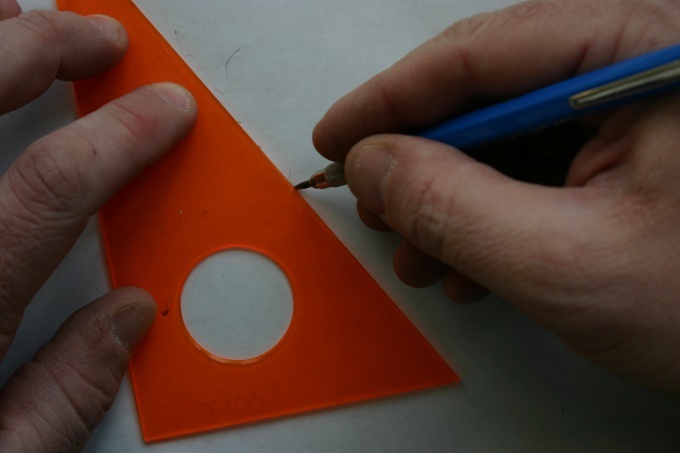 Lift both the lengths of the sides in the square and add the results. Then, from this value subtract the product of their lengths into the cosine of the known angle, and in the end remove from the obtained values of the square root: C = √(A2+B2-A*B*cos(γ)). The theorem that you used in the calculations, is called the theorem of sines. A well-known area of the triangle (S) will require the use of three formulas. The first defines the area as half of the work length of the known sides (A and B) the sine of the angle between them. Express from it the sine of an angle and you will get the expression 2*S/(A*B). The second formula allows to Express the cosine of the same angle as the sum of the squares of the sine and cosine of the same angle equals one, the cosine is the square root of the difference between the unit and the square received the previous expression: √(1-(2*S/(A*B))2). The third formula is a theorem, the law of cosines was used in the previous step, replace in it is the cosine of the resulting expression and you will have the following formula for calculation: C = √(A2+B2-A*B*√(1-(2*S/(A*B))2)). To find the sides of the triangle, you must know the lengths of two sides and the size of one angle. Or Vice versa - the length of one side and the values of the two angles. The value of the third angle is easily calculated from the equality of the sum of the angles of a triangle is 180 degrees. If you know the lengths of two sides of a triangle and the angle between them, then to find the length of the third side using the theorem of cosines: the square of the length of the sides of a triangle equals the sum of the squares of the lengths of its two other sides minus twice the product of these sides into the cosine of the angle between them. – the length of the required side. 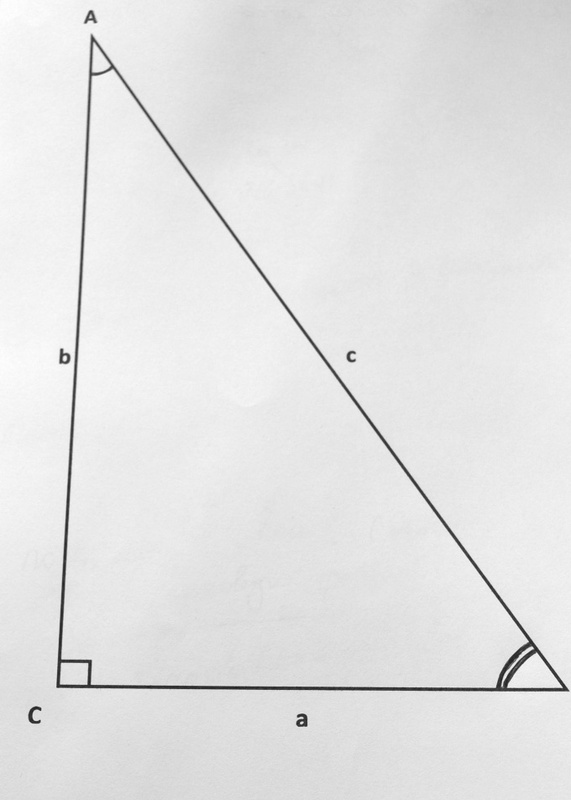 Given a triangle with sides of 10 cm and 20 cm and the angle between them is 60 degrees. Find the length of a side. If the known values of two angles and the length of one of the sides of a triangle, the lengths of the other two sides the easiest to find using the theorem of sines: the ratio of the sines of the angles of a triangle to the lengths of opposite sides are equal. 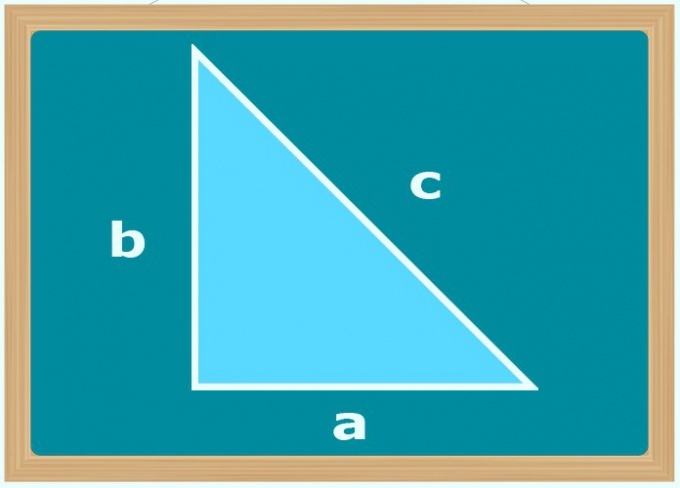 a, b, c the lengths of the sides of a triangle, and A, B, C – values of the opposite corners. 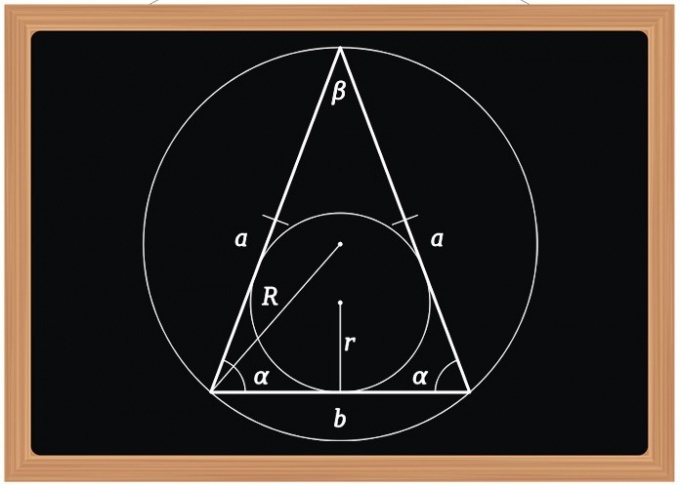 What are the angles of a triangle is known – is not important, since, using the fact that the sum of the angles of a triangle equal 180 degrees, you can easily find out the value of the unknown angle. Let in triangle ABC the known side length a=10 cm and angles A=30 and C=20. To find the length of side b. From the school course of plane geometry known definition: a triangle is a geometrical figure consisting of three points not lying on one straight line and three segments that connect pairs of these points. Points are called vertices, and line segments – the sides of the triangle. Share the following types of triangles: acute-angled, obtuse-angled and rectangular. Also klassificeret triangles by sides: isosceles, equilateral and scalene. Depending on the form of a triangle, there are several ways to measure its angles, sometimes it is enough to know only the shape of a triangle. The triangle is rectangular if it has the right angle. 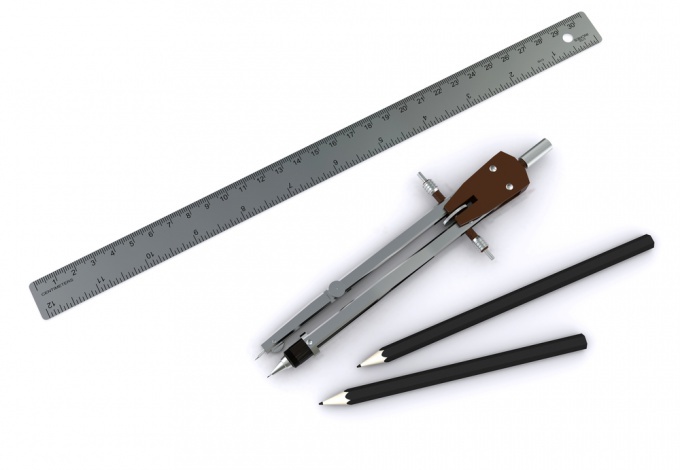 In the measurement of its angles, you can use trigonometric calculations. 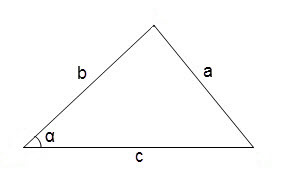 In this triangle the angle ∠C = 90º, as a direct, knowing the lengths of the sides of a triangle, the angles ∠A and ∠B are computed by the formulas: cos∠A = AC/AB cos∠B = BC/AB. Degree measures of the angles can be found by referring to the table of cosines. The triangle is called equilateral if all the sides are equal. 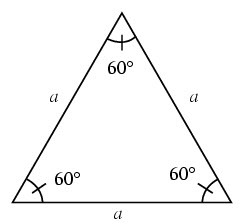 In an equilateral triangle all the angles are equal to 60º. Degree measure of an angle can be found by referring to the table of cosines. A triangle is called isosceles if two sides are equal, the third side is called the base of the triangle. Is called the hypotenuse side in a right triangle that is opposite the angle of 90 degrees. In order to calculate its length, enough to know the length of one of the legs and the size of one of the acute angles of the triangle. AB = BC/cos60 = 8 cm. AB = BC/sin30 = 8 cm. 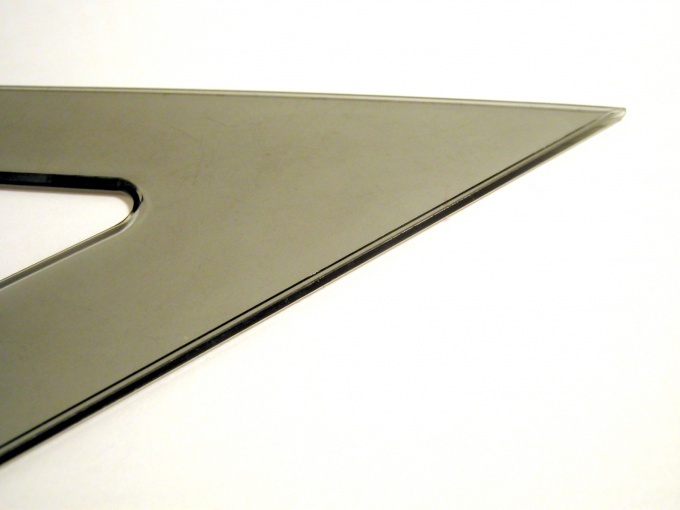 Right triangle – a flat figure, which one of the angles is straight, that is, is ninety degrees. The sides of the triangle have names: the hypotenuse and two sides. The hypotenuse is the side of the triangle opposite the right angle, and the legs, respectively, adjacent to it. 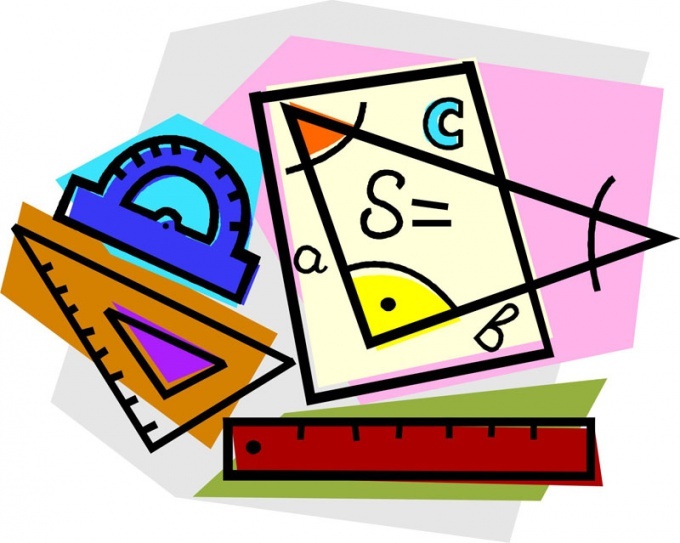 Basic math game parties is conducted through the Pythagorean theorem, which States that the sum of the squares of the legs equals the square of the hypotenuse. Think that sounds complicated, but actually everything is much simpler. After finding the values of the squares of the other two sides, find their sum. Not it is necessary first to summarize the expression under the sign of the second degree, it will make it more difficult and confusing to answer. Example: 16+9 = 25. Then remove from the square root of the sum. After adding in the above example produces the equation: () square = 25, hence, the final answer has not been received. Example: if you extract the square root of twenty five is five. This is the numerical value of the hypotenuse. Isosceles triangle — a triangle in which two sides are equal. Equal sides are called lateral, and the last base. 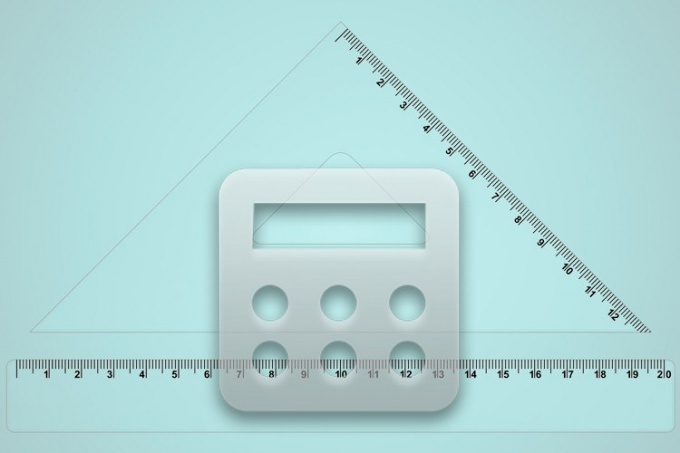 The triangle is rectangular if UD corners direct, that is equal to 90 degrees. The side opposite the angle to ninety degrees is called the hypotenuse and the other two - legs. By the Pythagorean theorem square length of the hypotenuse is equal to the sum of the squares of the other two sides. As given an isosceles triangle, it has several properties, one of which States that the angles at the base of an isosceles triangle are equal. Any triangle has the property that the sum of all its angles is equal to 180 degrees. From these two properties it follows that a right angle isosceles triangle can only lie in front of the base, and hence base of the triangle is the hypotenuse, and the sides of the legs. Given the length of the sides of an isosceles triangle a = 3. Since the sides of isosceles triangle are equal, then the second side is also equal to the three a = b = 3. In the previous step it was shown that the sides are the sides if an isosceles triangle, and even rectangular. Use the Pythagorean theorem to find the hypotenuse: a^2 = a^2 + b^2. Since a = b, then the formula will be written in the following form: s^2 = 2*a^2. Substitute the value of the length of sides in the resulting formula and get the answer - the length of the hypotenuse. with^2 = 2 * 3^2 = 18. So the hypotenuse squared is equal to 18. Extract the square root of 18 and you will receive, what is the hypotenuse: C = 4.24. Thus received, that the length of the sides of an isosceles right triangle is equal to 3, the length of the hypotenuse is 4.24. 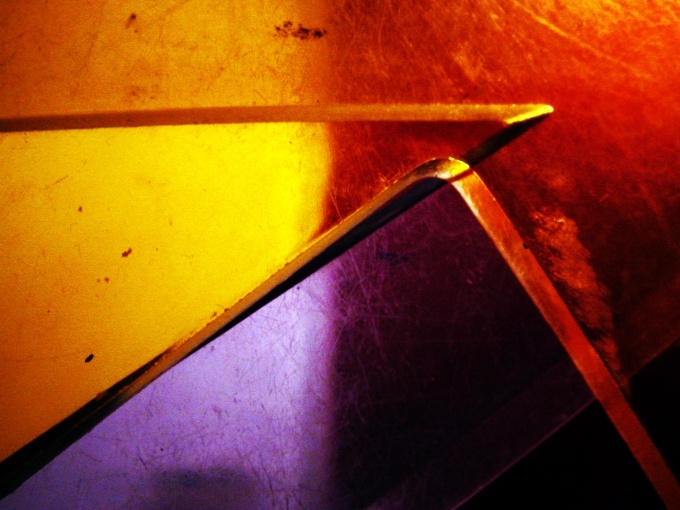 The length of the hypotenuse, like any length, the value is always non-negative. From the fact that the isosceles triangle and rectangular, it follows that its area is half the area of a square with sides equal to the length of the side and base of this triangle is equal to the diagonal of such a square. The triangle is part of the plane bounded by three straight line segments, called the sides of the triangle in pairs having one common end called a vertex of the triangle. If one of the angles of a triangle is a straight line (90°), then the triangle is rectangular. The sides of a right triangle adjacent to the right angle (AB and BC are called the legs. Side lying opposite the right angle is called the hypotenuse (AC). 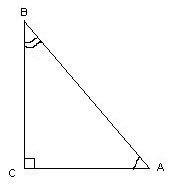 Let we know the hypotenuse AC of the right triangle ABC: AC| = c. We denote the angle with vertex at point A as a ∟α, the angle with vertex at point B as ∟β. We need to find the lengths |AB| and |BC| of the other two sides. Let known one of the legs of a right triangle. Assume |BC| = b. Then we can use the Pythagorean theorem that the hypotenuse squared is equal to the sum of the squares of the legs: a^2 + b^2 = c^2. From this equation we find unknown side |AB| = a = √ (c^2 - b^2). Let you know one of the angles of a right triangle, suppose ∟α. Then the other two sides AB and BC of the triangle ABC can be found using trigonometric functions. So we get: sine ∟α equal to the ratio of the opposite leg to the hypotenuse sin α = b / c cosine ∟α equal to the ratio of adjacent sides to the hypotenuse cos α = a / c. Hence, we find the required lengths of the sides: |AB| = a = C * cos α, |BC| = b = c * sin α.
b^2 * ctg^2 α + b^2 = c^2. Make b^2 outside the brackets, we get b^2 * (ctg^2 α + 1) = c^2. And easily get the length of leg b = c / √(ctg^2 α + 1) = c / √(k^2 + 1), where k is a predetermined ratio of the legs. By analogy, if you know the ratio of each b / a, we solve the problem with the use of trigonometric functions the tangent tg α = b / a. Substitute the value b = a * tg α in the Pythagorean theorem a^2 * tg^2 α + a^2 = c^2. Hence a = c / √(tg^2 α + 1) = c / √(k^2 + 1), where k is a predetermined ratio of the legs. ∟α = 30°. Then |AB| = a = c * cos α = c * √3 / 2; |BC| = b = c * sin α = c / 2. ∟α = 45°. Then |AB| = |BC| = a = b = c * √2 / 2. Square roots are extracted with a positive sign, because length cannot be negative. It seems obvious, but this error is very common, if to solve the problem automatically. For finding the legs of a right triangle is convenient to use formula bring: sin β = sin (90° - α) = cos α; cos β = cos (90° - α) = sin α. The presence of the other two sides of an isosceles triangle is a task requiring theoretical knowledge, spatial and logical thinking. No less important is the correct design decision. Side - side right angled triangle, forming a right angle. 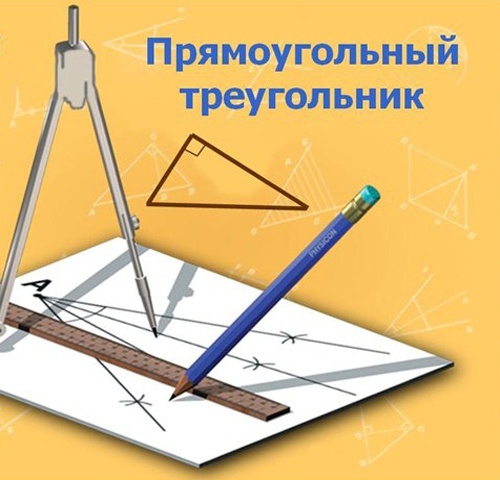 Opposite the right angle side of a triangle is called the hypotenuse.Since the job appears the concept "leg", we can conclude that the triangle is rectangular. To find the legs of isosceles triangle, use the Pythagorean theorem. It States that the square of the hypotenuse of a rectangular triangle is equal to the sum of the squares of the other two sides. Formula: a^2+at^2=s^2. The legs exist only in a right triangle. Verna theorem and inverse theorem of Pythagoras: if the square side of the triangle is equal to the sum of the squares of the other two sides, then the triangle is rectangular. Advice 12 : How to find the angle of a triangle if you know two sides? In a right triangle, you simply find the angle if you know two sides of him. One of the angles is equal to 90 degrees, the other two are always sharp. These angles and will need to find. In order to find an acute angle in a right triangle, you must know the values of all three sides. Depending on which side you are aware, the sinuses acute angles can be found using formulas for trigonometric functions. To find the angle values for the sine uses a four digit mathematical table. - four-digit mathematical tables Bradis. Use the following notation for ease of preparation of the formulas necessary for calculations: c is the hypotenuse of a right triangle; a, b are the legs that form a right angle, A is the acute angle opposite sides of b; B is the acute angle opposite of side a. Calculate what is the length of the unknown side of the triangle. Apply for computing the Pythagorean theorem. Calculate the side a, if the known values of the hypotenuse c and leg b. To do this, subtract the square of the hypotenuse c, the square of side b and then calculate the square root of the result. Calculate side b, if the known values of the hypotenuse c and a leg. To do this, subtract the square of the hypotenuse c, the square of side a, and then calculate the square root of the result. Calculate the value of the hypotenuse c, if there are two sides. This will get the sum of the squares of the legs a and b and then calculate the square root of the result and, if necessary, rounded to four decimal places. Calculate the sine of the angle A according to the formula sinA = a/c. Use for calculations the calculator. Rounded, if necessary, the value of the sine of the angle A to four decimal places. Calculate the sine of the angle B by the formula sinB = b/c. Use for calculations the calculator. Rounded, if necessary, the value of the sine of the angle B to four decimal places. Find the angles A and B by the values of their sines. Use to determine the values of the angles of table VIII four-digit mathematical tables Bradis. Find in this table the values of sine. Move from values to the left and the first column "And" take a degree. Move from the found values up and from the top row "And" take minutes. For example, if sin(A) = 0,8949, the angle A is 63 degrees 30 minutes. In order to learn all sides of the triangle need to know the measure of the angle and two adjacent sides or measure of two angles and the side between them. If you are aware of all the angles of this triangle, find the length of all sides of the triangle is impossible, but you can find the ratio of the sides of the triangle. In the first case known to such data in the triangle, as the angle and length of sides that form this angle. The side opposite the known angle, you need to find the cosine theorem, according to which you want the length of the known sides squared up and folded, then subtract from the obtained sum the product of these sides multiplied by two and the cosine of known angle. A – the angle formed by the known sides. In the second case, when we know two angles and the side between them of the triangle to use the theorem of sines. According to this theorem, if you divide the sine of the angle to the length of the opposite leg, we get a ratio equal to any other in this triangle. Also, if you do not know the right side, you can easily find knowing the fact that the sum of the angles of a triangle is equal to hundred eighty degrees. d, f, e are the legs, the opposite corresponding angles. In the third case, known only to the corners of this triangle, so it is impossible to know the length of all sides of this triangle. But you can find the attitude of these parties and the method of selection is to find a similar triangle. 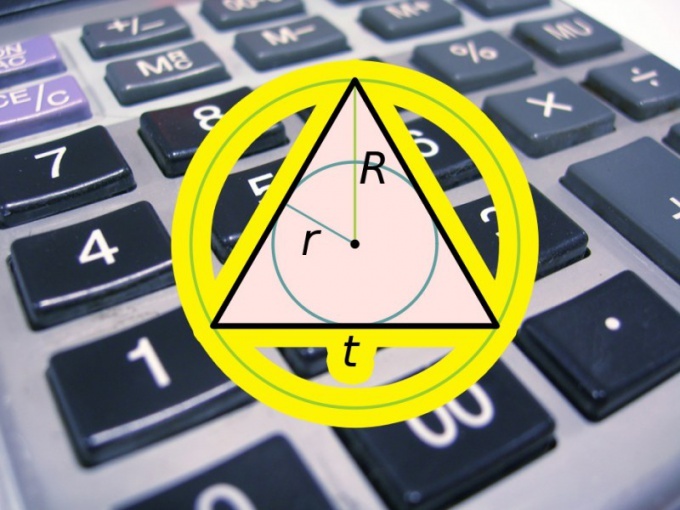 The aspect ratio of this triangle is found using the formulation of the system of three equations with three unknowns. D, F, E – the angle opposite the unknown sides. (d*sinF*sinE-f* sinD* sinE-e* sinD* sinF)/ sinD* sinE* sinF. A closed geometric figure with three angles of non-zero magnitude is called a triangle. Knowledge of the sizes of the two sides is not enough to calculate the length of the third side, we should know the value of at least one of the corners. Depending on the mutual arrangement of the known sides and angle for calculations should apply different methods. If the conditions of the problem except for the lengths of two sides (A and C) in an arbitrary triangle is known and the angle between them (β), then apply to find the length of the third side (B) the theorem of cosines. First, lift the lengths of the sides into a square and fold the values obtained. From this value subtract twice the product of the lengths of these sides into the cosine of the known angle, and from what remains, remove the square root. In General, the formula can be written as: B=√(A2+C2-2*A*C*cos(β)). If given the measure of an angle (α), which lies opposite the longer of (A) two known sides, then start with calculating the angle opposite the other known side (B). If we start from the theorem of sines, its value must be equal to arcsin(sin(α)*B/A), this means that the magnitude of the angle lying opposite the unknown side will be 180°-α-arcsin(sin(α)*B/A). Following to find the expected length of the same theorem of sines, multiply the length of the longest side to the sine of the angle is found and divide by the sine-known because of the problem of the angle: C=A*sin(α-arcsin(sin(α)*B/A))*sin(α). If given the measure of an angle (α) adjacent to the unknown side length (C), and the other two parties have identical and known according to the problem dimensions (A), the formula will be much easier. Find twice the product of known length into the cosine of the known angle: C=2*A*cos(α). 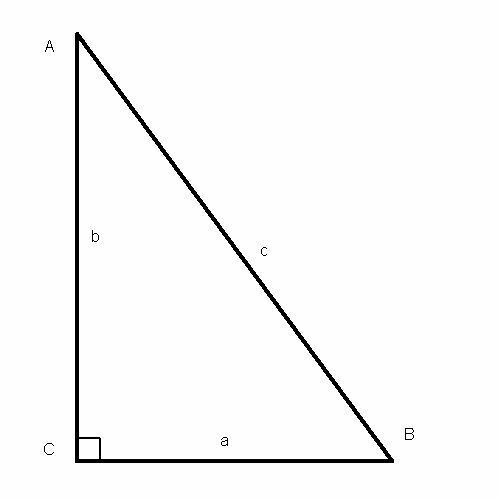 If we consider a rectangular triangle and is known the length of its two sides (A and b), then find the length of the hypotenuse (C) use the Pythagorean theorem. Extract the square root of the sum of squared lengths of the known sides: C=√(A2+B2). If in a right triangle are known the length of one of the legs (B) and the hypotenuse (C), to calculate the length of the other leg comes from the same theorem. Extract the square root of the difference between the built in the squares of the lengths of the hypotenuse and the known leg: C=√(C2-B2). To calculate lengths of sides in an arbitrary triangle most often has to apply the theorem of sines and cosines. But among the whole set of arbitrary polygons of this kind there are of them "more correct" variations - equilateral, isosceles, rectangular. If the triangle is known that it belongs to one of these species, methods of calculation of its parameters is much easier. When calculating the lengths of their sides is often possible to do without trigonometric functions. The length of the side (A) of an equilateral triangle to find the radius of the inscribed circle (r). To do so, increase it to six times and divide by the square root of triples: A = r*6/√3. Knowing the radius of the circumscribed circle (R), too it is possible to calculate the length of side (A) right triangle. This radius is twice that used in the previous formula, so triple it and also divide by the square root of triples: A = R*3/√3. The perimeter (P) of an equilateral triangle to calculate the length of its side (A) is even simpler, because the lengths of the sides in this figure are the same. Just divide the perimeter into three pieces: A = R/3. In an isosceles triangle the calculation of the length of the sides of known perimeter is a bit more complicated - you need to know more and a length of at least one of the parties. If you know the length of side A lying in the base of the figure, the length of any side (In) find halving the difference between the perimeter (P) and the size of the base: B = (R-A)/2. And if you know the side, the length of the base define by subtracting from the perimeter to twice the length of the side: A = R-2*V.
Knowledge area (S) occupied on the plane right triangle, is also sufficient for finding the lengths of its sides (A). Extract the square root of the area ratio and the square root of three, and the result double A = 2*√(S/√3). In a right triangle, unlike any other, to calculate the length of one of the parties is sufficient to know the lengths of the other two. If the target side is the hypotenuse (C), to do this, find the square root of the sum of the lengths of the known sides (A and b) squared: C = √(A2+B2). But if you want to calculate the length of one of the other two sides, then the square root must be obtained from the difference of the squares of the lengths of the hypotenuse and another side: A = √(C2-B2). Side of the triangle is a direct, limited its vertices. All of them have figures of three, this number determines the number of almost all graphics characteristics: angle, midpoint, bisectors, etc. to find the side of the triangle, you should carefully examine the initial conditions of the problem and determine which of them may be basic or intermediate values to calculate. The sides of the triangle, like other polygons have their own names: the sides, base, and hypotenuse and legs of the figure with a right angle. This facilitates the calculations and formulas, making them more obvious even if the triangle is arbitrary. The figure of graphics, so it is always possible to arrange so as to make the solution of the problem more visible. Sides of any triangle are connected and the other characteristics of the various ratios that help calculate the required value in one or more actions. Thus the more complex the task, the longer the sequence of steps. The solution is simplified if the triangle is standard: the words "rectangular", "isosceles", "equilateral" immediately allocate a certain relationship between its sides and angles. 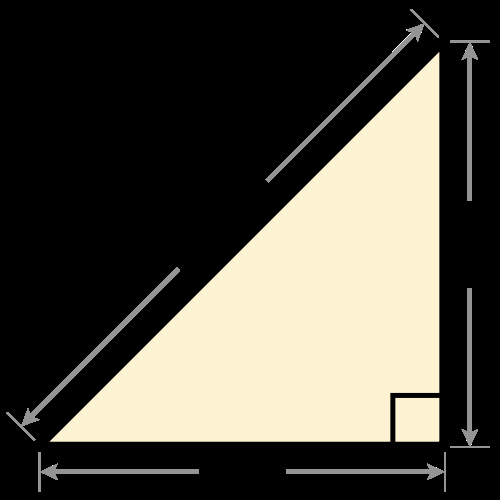 The lengths of the sides in a right triangle are connected by Pythagorean theorem: the sum of the squares of the legs equals the square of the hypotenuse. And the angles, in turn, are associated with the parties to the theorem of sines. It affirms the equality relations between the lengths of the sides and the trigonometric function sine of the opposite angle. However, this is true for any triangle. Two sides of an isosceles triangle are equal. If their length is known, it is enough only one value to find the third. For example, suppose we know the height held to it. This cut divides the third side into two equal parts, and allocates two rectangular triangleH. Considered one of them, by the Pythagorean theorem find the leg and multiply it by 2. This will be the length of an unknown side. Side of the triangle can be found through other sides, corners, length, altitude, median, bisector, perimeter size, area, inradius, etc. 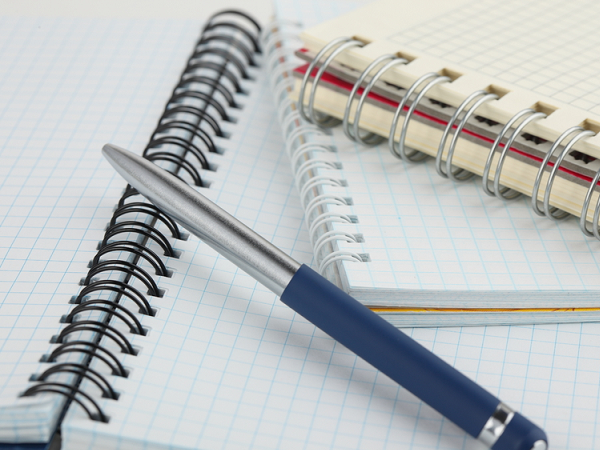 If you can't apply the same formula to produce a series of intermediate calculations. Consider an example: find side of an arbitrary triangle, knowing the median ma=5, held for her, and the lengths of the other two medians mb=7 and mc=8. Resented involves the use of formulas for the median. You need to find the way . Obviously, there should be three equations with three unknowns. Write down the formulae for the medians:ma = 1/2•√(2•(b2 + c2) – a2) = 5;mb = 1/2•√(2•(a2 + c2) – b2) = 7;mc = 1/2•√(2•(a2 + b2) – c2) = 8. Express c2 from the third equation and substitute it into the second:c2 = 256 – 2•a2 – 2•b2 b2 = 20 → c2 = 216 – a2. Lift both sides of the first equation in the square and find a by entering explicit values:25 = 1/4•(2•20 + 2•(216 – a2) – a2) → a ≈ 11,1. When the conditions of the problem mentioned leg, this means that in addition to all indicated parameters are known and one of the corners tregon. This is useful in the calculation of the circumstance is due to the fact that this term only referred to the side of the rectangular tregon. Moreover, if the party named katetohms, then you know that it is not the longest in this triangle adjacent to the angle 90°. 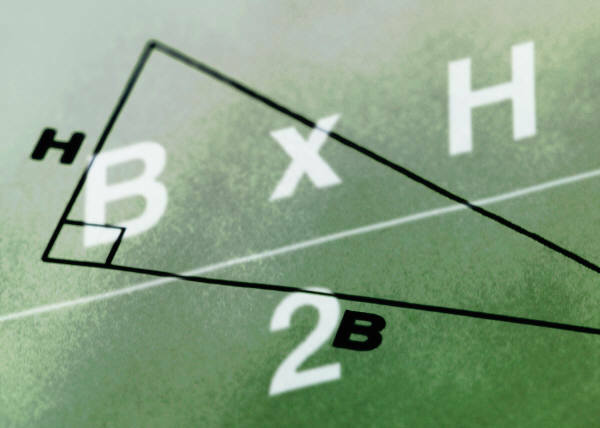 If the only known angle is 90°, and in the conditions given the lengths of two sides of trianglea square (b and c), determine which of them is the hypotenuse - it must be the side of the big sizes. Then use the Pythagorean theorem and calculate the length of the unknown side (a) square root of difference of squares of the lengths of larger and smaller parties: a = √(c2-b2). However, you can not figure out which side is the hypotenuse, and extract the root of the module of the difference of the squares of their lengths. Knowing the length of the hypotenuse (c) and the angle (α) lying next to your sideand (a) use in the calculation of the trigonometric definition of the sine function through the sharp corners of rectangular tregon. This definition says that the sine of the known angle conditions are equal to the ratio between the lengths of the opposite legand the hypotenuse, and therefore, to calculate the desired values multiply the sine to the length of the hypotenuse: a = sin(α)*C.
If in addition the length of the hypotenuse (C) is given the value of the angle (β), adjacent to the desired leg (a) use the definition of another function - cosine. It sounds exactly the same, and therefore, before the calculation, simply replace the function notation and angle in the formula from the previous step: a = cos(β)*C.
The cotangent function will help calculate the length of sidea (a), if the conditions the previous step replaced by a second hypotenuse legom (b). By definition, the value of this trigonometric function equal to the ratio of the lengths of the legs, so multiply the cotangent of an angle is known on the length of the known sides: a = ctg(β)*b. Use the tangent to calculate the length of sidea (a), if the conditions is the value of angle (α) lying in the opposite apex of the triangleof the polygon, and the length of the second legand (b). According to the definition of the tangent is known of the conditions of an angle is the ratio of the length of the required side to the length of the known legand, therefore, multiply the value of this trigonometric function from a given angle to the length of the known sides: a = tg(α)*b.